"Giving parents of children with A.D.H.D. just what they need..."
If your child has been diagnosed with Attention Deficit Hyperactivity Disorder (A.D.H.D. ), you may be wondering how it will effect your family's life. "Why A.D.H.D. 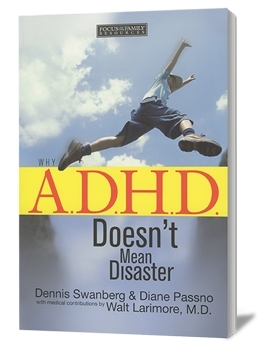 Doesn't Mean Disaster" provides a realistic perspective from parents who have raised children with A.D.H.D. Filled with encouraging insights, gentle humor, and sound medical expertise, this book will give you hope that breaks through the hype.